Get married on a Sunday: Most venues have steep discounts for Sunday Weddings. Caterers and party rental services may provide discounts as well. 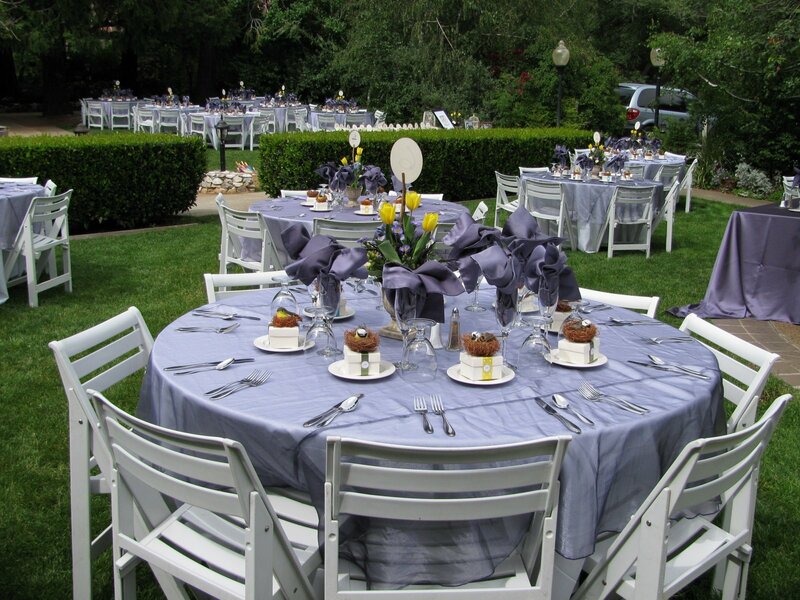 Find a venue that has their own equipment such as tables, chairs and dance floors. The more the venue can offer you the more you will save. Sometimes an all inclusive wedding venue can save you a lot of money in the long run. However be sure to check the venue out and make sure it is a place that you feel is the right fit. And Always make sure they allow you to select the DJ! Buy Your Own Alcohol: Sometimes this isn’t an option due to venue obligations but if you are going to be serving alcohol at your wedding, this will save you vast amounts of money over hiring a bar service or having the caterer bring the alcohol. Don’t leave open bottles of wine on the dinner tables. Often times, especially for a buffet dinner, many people will be waiting at the table while the buffet line is being worked through. If there is a bottle of wine at the table, and people are waiting to eat, it will be drank a lot faster. Instead have guests get up to go to the bar. Skip the cake, get cupcakes or have the caterer handle dessert. Wedding cakes can be more than $1000. I find this not worth the price to be honest and cakes are much more time consuming. Everyone has to wait while you cut it, or you have to pay the caterer extra to cut and serve the cake. In this day and age not all couples feel a wedding cake is absolutely necessary. Get your flower center pieces at the farmers market or Trader Joes. Seriously folks. Trader Joes has gorgeous flowers at $5-$15 an arrangement. Hire ME to officiate your wedding at no extra cost. Spend that $100 or $200 on your honeymoon!